Garlic Escapes: Happy Birthday Burger King! Burger King was founded 53 years ago today in Miami Florida. 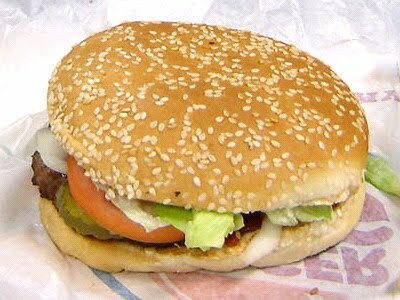 (The original Whopper cost 37 cents.) Today, Burger King is known for its regional variants and in Israel (and parts of Sweden), the regular mayo is replaced with garlic mayo. Bon Appetit (in Hebrew and Swedish) נסיעה טובה and Smaklig Måltid!